John Kirton, better know as Johnny, is currently a freshman at Seabury Hall. He was born on December 2, 2001 in Salt Lake City, Utah. Kirton lived in Sugarhouse until the young age of five when he and his family moved to Maui, Hawaii after his parents, Bill and Rachelle Kirton, decided to retire. Being the youngest of five children, Kirton has one older brother and three older sisters. He lives in the quiet area of Kula located on the mountain of Haleakala. Kirton attended preschool and grade school at Carden Academy. 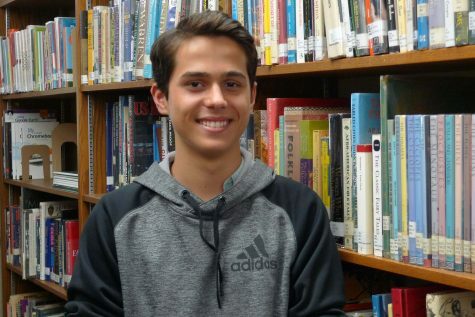 In the sixth grade, he attended his first year at Seabury Hall. In school, his two favorite subjects are math and English. Outside of school, Kirton plays in a beach volleyball club, Aloha Volleyball Association, and is on a team that travels and represents Maui on the mainland. Kirton hopes to attend Cornell University and major in business to become a businessman like his father. In his spare time, he can be found hanging out with friends, practicing sport techniques, and watching his favorite Netflix shows such as “The Crown,” “Grey's Anatomy,” “Shameless,” and “American Dad,” to name a few.